Frequently Asked Questions | South Carolina AV, Inc.
Q: What’s all the fuss about LED video walls? LED video walls have become the gold standard when it comes to displaying video images to your audience. They are brighter than projectors and have a far superior picture. The resolution is much better than projectors. Q: Exactly what is an LED wall? LED walls are made up of many tiles in a frame with single LED’s emitting red, green, and blue colors. A controller is necessary to display images on the wall. These walls are just like the ones you may be familiar with at concerts, or sports stadiums. They come in different models for both indoor and outdoor. They are not interchangeable. Q: What makes them so great? Brightness, resolution and clarity. Most can be seen in daylight or very bright room light. The resolution is dependent on the number of LED’s per panel and the pixel pitch, how close together are the LED’s. The higher the number in reference to dot pitch the less quality. In other words, a pixel pitch of 2.6 is far superior to a pixel pitch to 4.8 or say 10. These numbers refer to the distance in mm from one LED to the other. The closer the LED’s are to each other the better. Q: Are there special considerations for using LED walls? A couple of key points come to mind. First there are two ways to use these. You can either ground support them or fly them in the venue. Weight is a huge factor either way. If you fly them, there has to be sufficient structure that is load rated to carry the weight ranging from several hundred pounds to a couple of thousand pounds. You must know the venue requirements in advance. Floor support can also be achieved with supports and counter weights. Q: What can I display on the LED wall. You can display any image just like a projector but you get a much clearer image. Images such ad photographs, graphics, videos, PowerPoint all can be displayed. While LED walls can be configured in different shapes and sizes, you must always consider the aspect ratio when developing the content for display. Q: Who is SCAV and exactly what do you do? SCAV or South Carolina AV, Inc. is a full service AV provider of technology solutions to corporate meetings, events, and meeting planners. We provide complete solutions from a single source to include rental gear for a small meeting to full production including lighting, pro sound, HD video, and scenery. We value our clients and treat them equally whether their meeting is for 15 or 1500. Our clients have relied on us throughout the years to assist with all the details from initial budget planning, to site visits, room diagrams, and Showtime. Yes, but we truly believe you get what you pay for within this industry. We are certain you will agree that we add value to your event. You will sleep at night while we handle all the AV details. Our reputation is important and frankly that equals repeat business and referrals. Q: Are you allowed to work in other hotels and venues? Yes. But be sure to stipulate this up front when signing the contract. Watch out for fees and other tactics that are often used in an attempt to make you use the venue's services. Q: Is a 16x9 screen High Definition? When referring to 16X9 you are referring to the aspect ratio of the screen whether it be projection or large screen TV. High Definition refers to the resolution of the image. Just because you have 16X9 screens does not necessarily mean you have HD video. Q: Does SCAV offer out of state services? Yes. SCAV currently travels extensively throughout the USA. We will travel anywhere you have a meeting. Q: Is an LCD projector, video projector or a PowerPoint projector different? No. All the projectors are basically the same with the exception of the source you feed it. Projectors are capable of displaying video or computer images at different resolutions and brightness. See our glossary of terms for more. Q: Can you help with room layouts? Yes. SCAV uses the Meeting Matrix room diagram program to help layout the room to be certain all elements and people will fit with your requested configuration. Q: Do you have enough experience? Yes. We have been doing this for over 27 years. SCAV also has some of the sharpest and most dedicated technical minds available. They love a challenge. 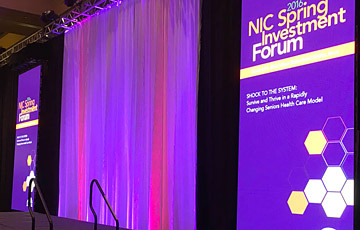 Dallas, TX - We offer industry standard, large-screen LED video walls for high impact presentations, especially in challenging daylight environments. South Carolina AV is much more than a service provider to us – they are our meeting partner and trusted advisor.